Print these sheets out on cardstock (laminate for heavy use). 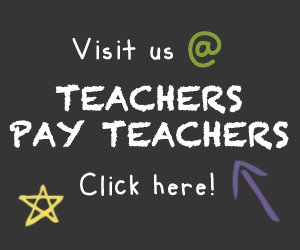 Supply a small manipulative such as mini erasers for students to use as markers. For individual use, have the child roll the die, count the dots (or recognize the “set” of dots), and find and cover the corresponding number on the sheet. Repeat until all of the numerals are covered. In small group, give each child a sheet and have them take turns rolling the die. The first person to cover all of their numbers wins. Trade cards and play again! Print these sheets out on cardstock (laminate for heavy use). Attach paperclip spinners with round head fasteners (brads). Provide gumdrops, mini erasers or some other small manipulative for students to use. 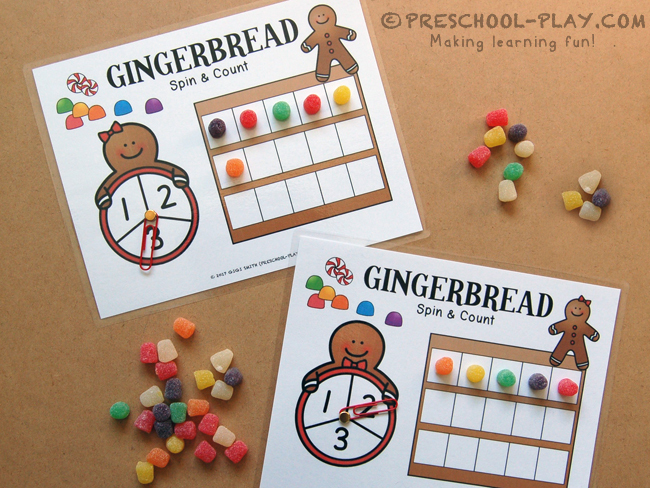 Young learners will spin, identify a number and place that amount of items on their sheets. As children pick up and place each item, encourage them to say its number name (one, two, etc.). Older children may fill all three lines, while younger ones may only complete the first or second. Once finished, have students count all of the items on their sheets. Print these cards out on cardstock (laminate for heavy use). Provide Unifix Cubes or another small manipulative for children to measure (non-standard) the length of the items. Be sure to discuss which are longer, shorter, and the same size. To extend this activity, students may use the included Merry Measuring – Measure and Record sheet to record their answers. Print these cards out on cardstock (laminate for heavy use). Students will say the name of each picture and find and cover its rhyming partner. Supply pom poms, gumdrops, mini erasers or some other manipulative for children to use as markers. Print these cards out on cardstock (laminate for heavy use). 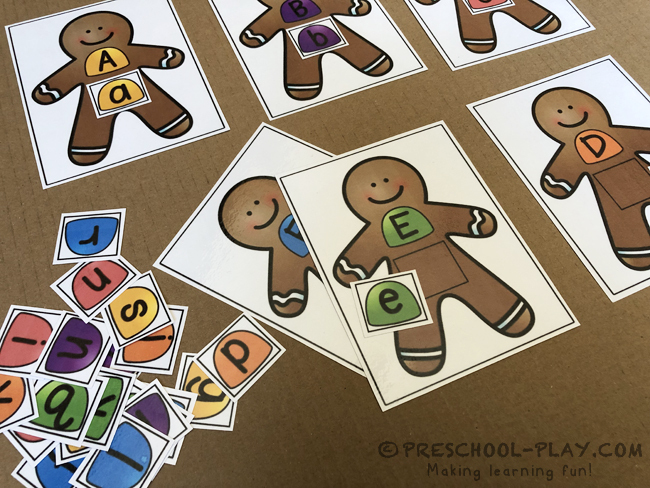 Learners will identify the uppercase letter featured on the gingerbread man. They will then work to “decorate” the gingerbread with its lowercase letter partner/gumdrop. Christmas Goodies – Classification – Prompt students to study the pictures and determine which items are toys and which are yummy treats. Children can then cut, sort, and glue the pictures onto their appropriate spaces. Christmas Mouse – Color by Numbers – Instruct children to color the numbered parts of the mouse with their corresponding colors. 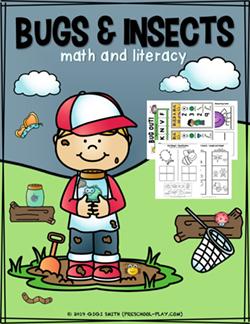 ‘Tis the Season – Length and Height – Young learners will color the longer pictures and the taller pictures. Candy Cane Christmas – Counting – Students will count the candy canes in each row and write the number. Merry Measuring – Measure and Record – This worksheet is to be used in conjunction with the Christmas Measuring Cards. Students will measure the items and record their answers. Discuss which are longer, shorter, or the same length. Happy Holiday – Association – Children will study the groups of pictures and cross out the ones that do not belong. Discuss the different attributes of the items and why they do or don’t belong together. 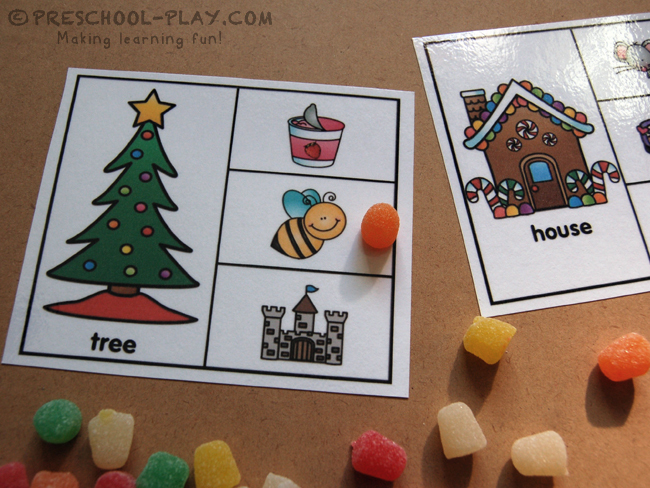 Candy Clap and Count – Segmenting Syllables – Students will name each picture and clap and count each word part. They will then color in the appropriate amount of candies. 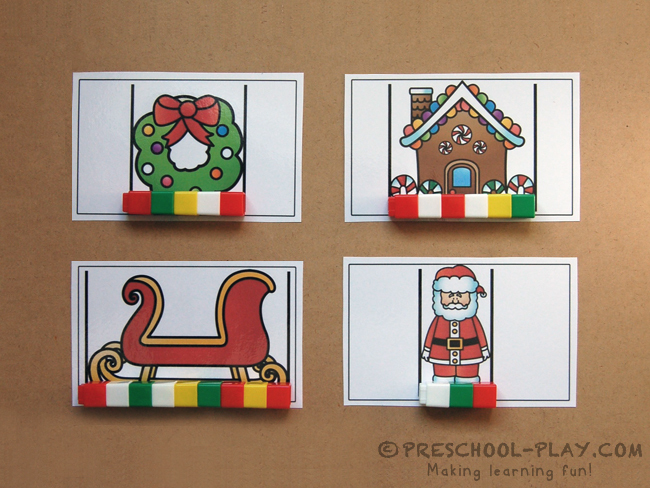 All Things Christmas – Visual Discrimination – Young learners will study the rows of pictures and cross out or color the one that is different from the rest. Depending on the child’s ability, a sheet of paper may be used to cover the other pictures as he/she works one row at a time. 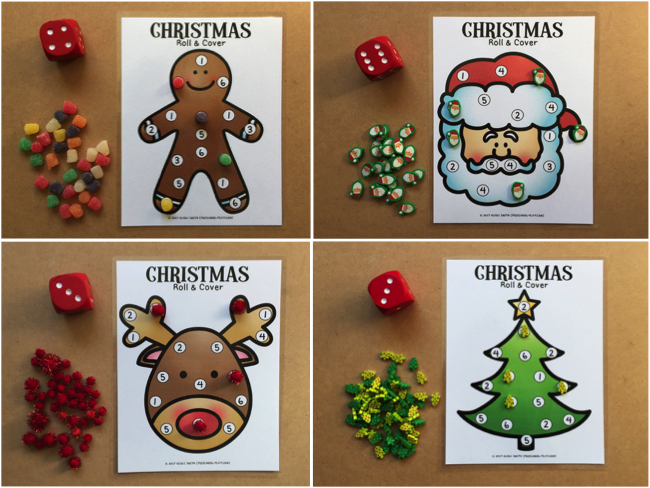 How to Decorate a Gingerbread Cookie – Sequencing – Children will cut out the pictures and work to put them order. Once the pictures are properly sequenced, they may be glued and colored. Depending on the child’s ability, only three cards may be used. The Sounds of Christmas – Beginning Sounds – Encourage children to sound out the pictures, and to color them using the provided code. 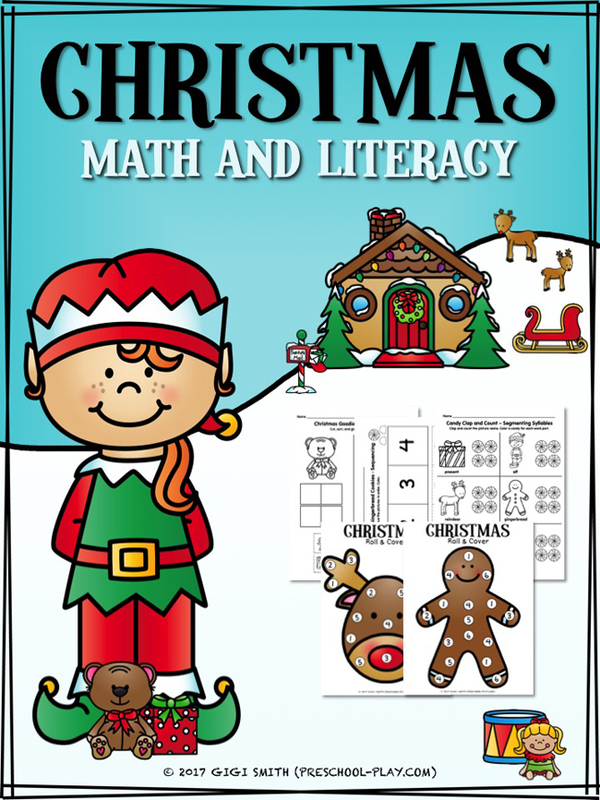 GET THIS CHRISTMAS MATH AND LITERACY PACK.